The watch and jewelry market is gearing up for its biggest exhibition of the year. In less than three weeks, professionals in the watch and jewelry space will all congregate in the picturesque Swiss city of Basel to attend the industry’s most important tradeshow. Baselworld is where the world’s leading watch and jewelry brands present their novelties for the year. Since it is the focal point for the industry, Baselworld is where trends are set, groundbreaking innovations are introduced, news is made, and major announcements are heard. Taking place from 23-30 March 2017, Baselworld is always a glamorous affair with key industry players, celebs, and more importantly, a slew of brand new luxury timepieces. While some brands like Rolex and Patek remain tightlipped about what novelties they’ll be launching, other top watchmakers do give us a sneak peek. Here are five luxury watches we look forward to seeing at Baseworld 2017. Since this year marks the 60th anniversary of the legendary OMEGA Speedmaster, we are expecting plenty of new Speedmaster models to come our way. 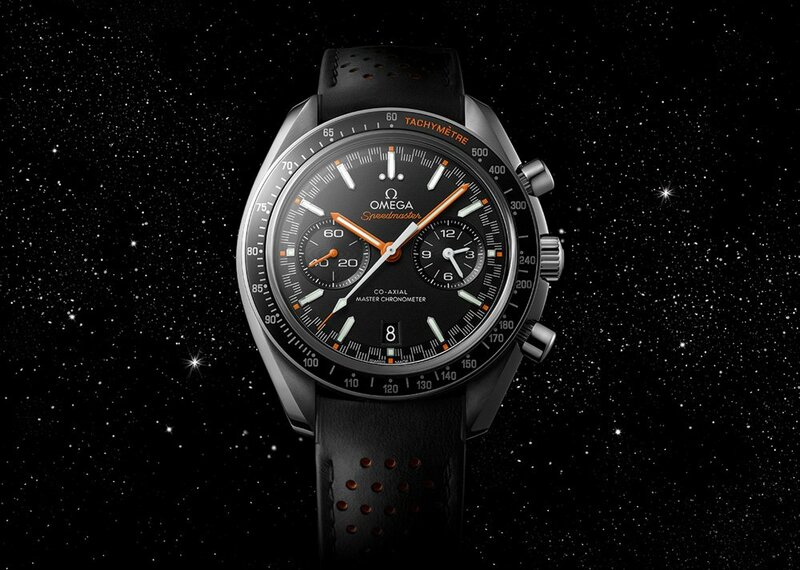 As a result, OMEGA has already announced a new Speedmaster Moonwatch Automatic Master Chronometer, which will make its official debut at Baselworld 2017. This particular Speedmaster takes two motifs that the model is known for—moon landings and racing—and combines them into one super sporty chronograph. The new Speedmaster sports a 44.25mm stainless steel case that houses a black dial. The so-called “racing dial” includes a minute track, a pair of subdials, and the date at 6 o’clock. There are also plenty of orange accents on the dial, ceramic bezel, and black rally-style leather strap. It’s a great looking Speedmaster and hopefully that’s a sign for more. Boasting an innovative new Breitling-exclusive material, the Swiss watchmaker’s new Colt Skyracer will no doubt be a very popular model for 2017 and beyond. Dubbed “Breitlight”, this new material is not only lighter than steel and titanium but also tougher than both. Furthermore, Breitlight is resilient to scratching and corrosion in addition to being anti-magnetic and anti-allergenic. 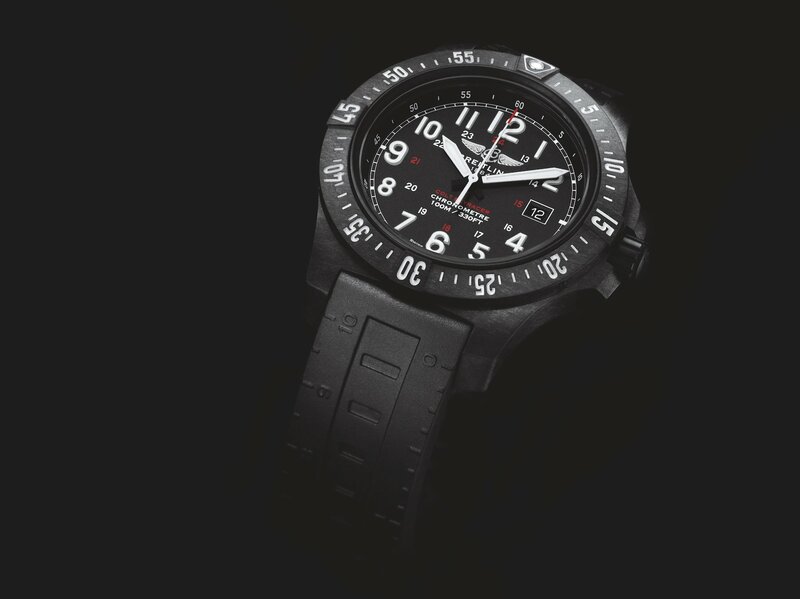 Breitling makes use of this new material in the black 45mm case of the Colt Skyracer. The face of the watch is typical Breitling in that it has a very technical look clearly influence by the world of aviation. Powering the watch is Breitling’s SuperQuartz caliber with ten times more accuracy than a standard quartz movement. The Breitling Colt Skyracer’s biggest draw is its $2,000 price tag—very reasonable for the watch at hand. The Fifty Fathoms Bathyscaphe made its debut in 2013 to mark the 60th anniversary of the legendary Fifty Fathoms diving watch. Naturally, it’s a vintage inspired model that takes its design cues from the Blancpain Bathyscaphes from the 1950s. 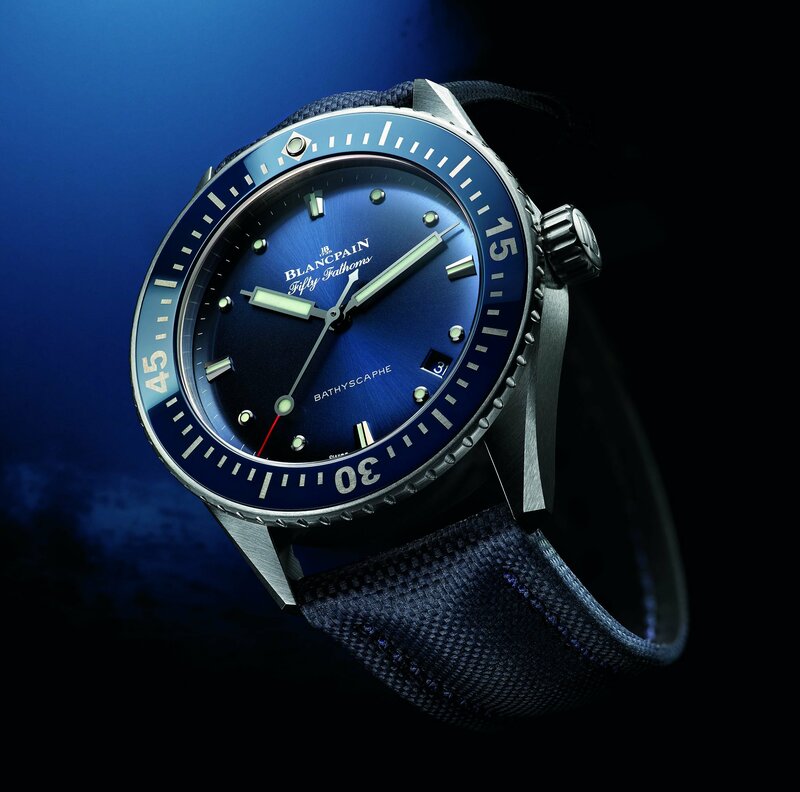 And for 2017, the Fifty Fathoms Bathyscaphe collection welcomes a new model in blue. On top of the 38mm stainless steel case sits the unidirectional rotating bezel. The bezel includes a blue ceramic insert with the characteristic lume dot at 12 o’clock. The straightforward blue dial houses large luminescent center hands in addition to a date window between 4 and 5 o’clock. Flip the diver’s watch around and we see the Caliber 1150 through the sapphire caseback. The automatic movement has water resistance of 100 meters and 100 hours of power reserve. We have a soft spot for iconic dive watches and this one’s a beauty. While Zenith already gave us a taste of the Heritage 146 during Geneva Watch Week earlier this year, the collection will make its grand entrance during Baselworld. An unmistakable tribute to the brand’s 1960s chronographs, the Heritage 146 is yet another example of a vintage style timepiece that’s on trend right now. Furthermore, there are huge strides being made to utilize their strategic alliances with various companies like Range Rover. 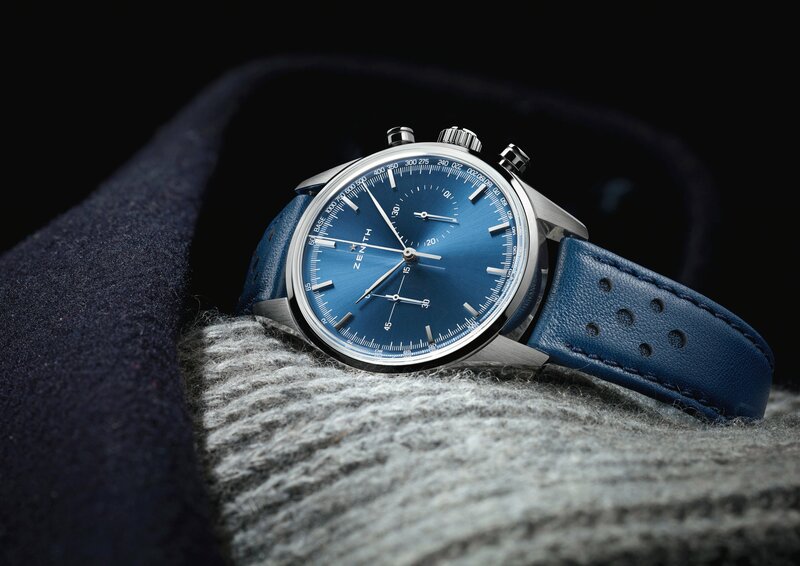 Available in either a blue or brown model, the Zenith Heritage 146 features a 38mm stainless steel case. On the dial we see baton style indexes, as well as, a pair of registers. Beating at the heart of the Heritage 146 is the El Primero Calibre 4069 operating at 36,000 bph. A column wheel chronograph, this El Primero movement offers 50 hours of power reserve. The Zenith Heritage 146 is a worthy tribute indeed. 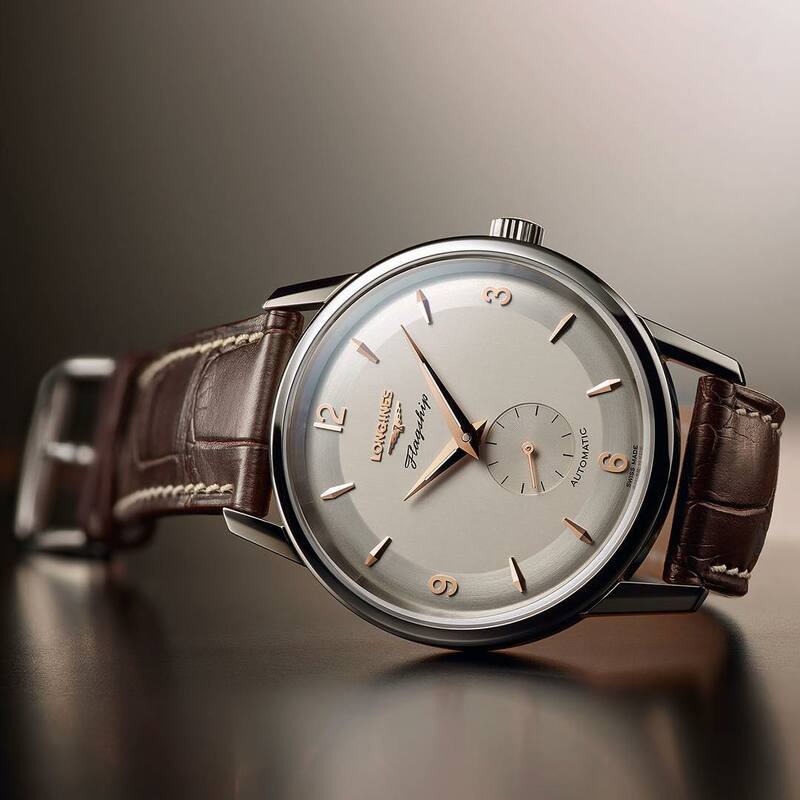 For Longines Flagship’s 60th birthday this year, the Swiss watch brand offers three versions of their commemorative model, the Flagship Heritage 60th Anniversary. The 38.5mm case will be available in stainless steel, 18k yellow gold, or 18k rose gold. The dial is both beautifully balanced and proudly retro. There’s a mix of stick indexes and Arabic numerals, faceted center hands, and small seconds sub-dial. The Flagship Heritage 60th Anniversary is driven by the automatic L609 movement with 42 hours of power reserve and operating at 28,800 bph. Further enhancing the elegance of the timepiece is a dark brown leather strap. This is a commemorative watch done right. If the above is an indication of what’s to come, we look forward to what Baselworld will bring this year. Which brands are you most excited to see present their new products? Do you have a hunch (or wishlist) of what new models Rolex will unveil? Stay tuned to Bob’s Watches during Baselworld week for updates.